As you will see, the landscape of Sao Jorge island is covered in lush vegetation and there is steep mountainous terrain. This is a picture of Faja de Vasco Martins, in Sao Jorge Azores. A Faja is a town on a small piece of land at the base of a cliff. 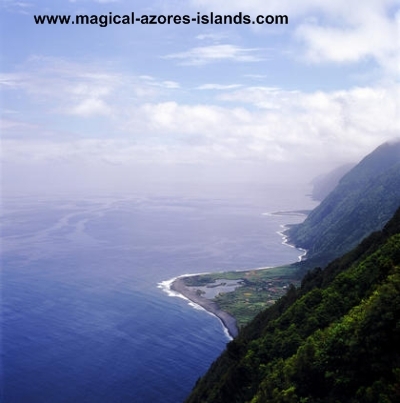 Please read about Sao Jorge Island. Sao Jorge is a part of the central group of Azores Islands including Pico, Faial, Graciosa and Terceira.